The Loop Junk Strap is the same 120cm woven nylon strap with the same stainless-steel buckle that our regular junk strap uses. 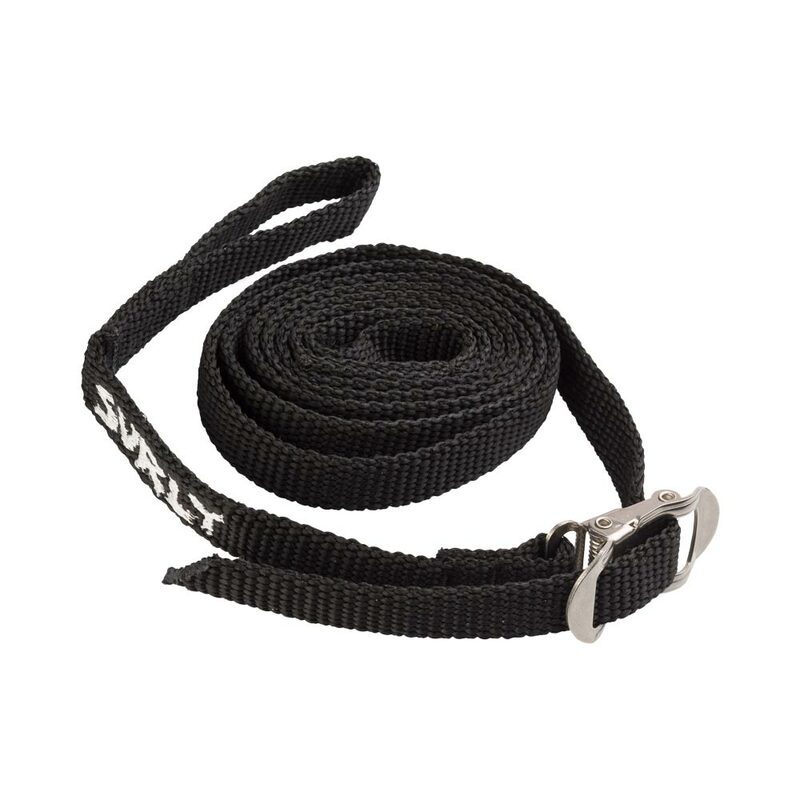 The Loop Junk Strap, however, has a loop sewn at each end of the strap so you can wrap them around small diameter tubing like that used for racks and handlebars. They secure in the middle with the stainless-steel buckle. We made these Loop Junk Straps because it offers another method for those wanting to secure cargo to their racks and/or bikes. Junk Straps of any kind are useful in many different situations so toss a few in your backpack and always be ready to tie something to anything else.